Springdale Towing Service is here to serve you! 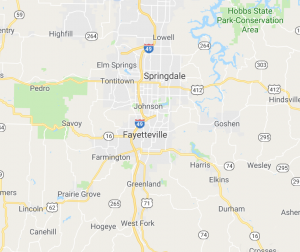 Please give us a call whenever you need a tow truck in Fayetteville or a towing service in Springdale. We know that anytime your vehicle we’ll breakdown that’s why we have 24/7 assistance. It doesn’t matter what time are you calling and what vehicles do you have. We can do it all. Roadside Assistance – If you don’t need towing service and it happens to be that you have flat tires, dead battery or your doors got locked. No problem! We are here to get you. Accident Recovery –We know that you’re driving safe and sound, however, wrecks and collisions happens at the most inconvenient time. No worries! We’re here to get you just give us a call. We’ll take care you wherever you need to go and you’ll not be worrying about the accident details. Off-Road Recovery – You’re having too much fun wit off roads. But your car gets into the deeper. We can get you wherever you are using our GPS. It may take time but we’ll be there and help you. Winch Outs – Slid off the road. Too much mud more than what you expect? Having a hard time pulling your boat into the water? If that happens we can help fix your car. We cover all kinds of assistance. Flatbed Towing – Let us know if you have four-wheel drive vehicle so we are able to send the flatbed when we come to you. Rest assured that your vehicle won’t get any damage while in transit.